Innovative design from Hartmut Esslinger. 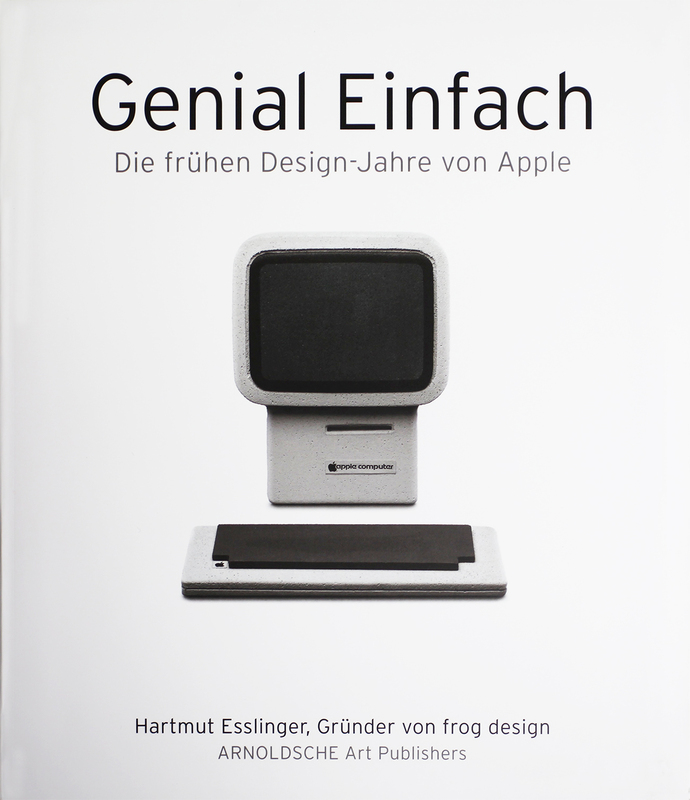 Hartmut Esslinger is the founder of frog design and inventor of the Apple design language. He worked very successfully for Wega, Sony, Apple, Lufthansa, SAP, Louis Vuitton and many others. 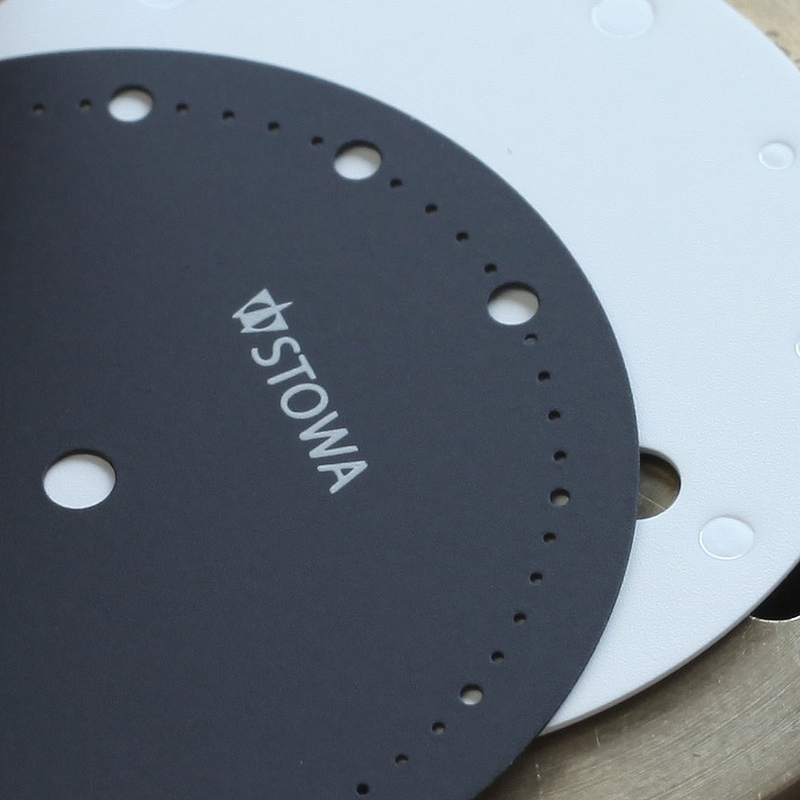 He designed a pioneering new STOWA watch. Innovative and uncompromising. The inspiration for the new watch Rana. Physically, almost all watches look like they did decades ago. 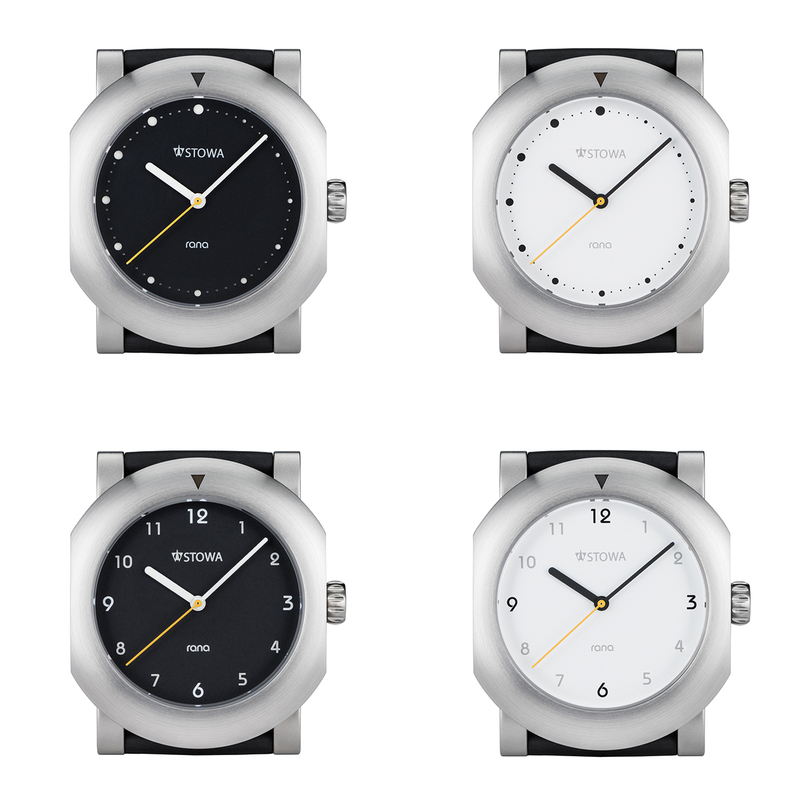 Styling watches are only modified visually. Experiments with mechanical gadgets are now the way of differentiation. When it comes to dials, they are graphically overloaded – to the user’s confusion. The reading of the time seems secondary. Conceptually, the STOWA Rana is a watch in accordance with Bauhaus: technically intelligent, culturally inspiring and simple. The future watchdesign. Uncompromising. Innovative. Hartmut Esslinger is the founder of frog design and inventor of the Apple design language. He worked very successfully for Wega, Sony, Apple, Lufthansa, SAP, Louis Vuitton and many others. 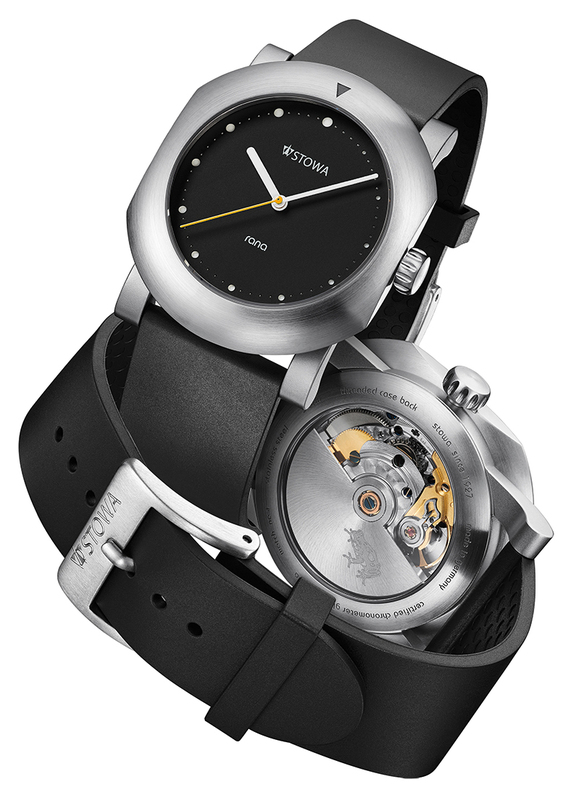 He designed a pioneering new STOWA watch. Innovative and uncompromising. Hartmut Esslinger’s design of the floating disc focused on the time function. Other elements, such as clean designed bracelets etc. are supportive, but not dominant. The lateral incisions are both symbolic (flow) and functional. The crown, for example, is better integrated into the circle. Inspiration flowing time: classic dials are worn out visually. Since an analog dial is to be read both quantitatively (position of the hand) and qualitatively (numbers or markings), the Rana dial combines both perceptions: the Dynadot dial of the Rana shows both the time as hand position, as well as the hours with graphically growing markings 1 to 12. Chronometer certification. Each Rana watch is chronometer tested by the German Calibration Service in Glashütte. 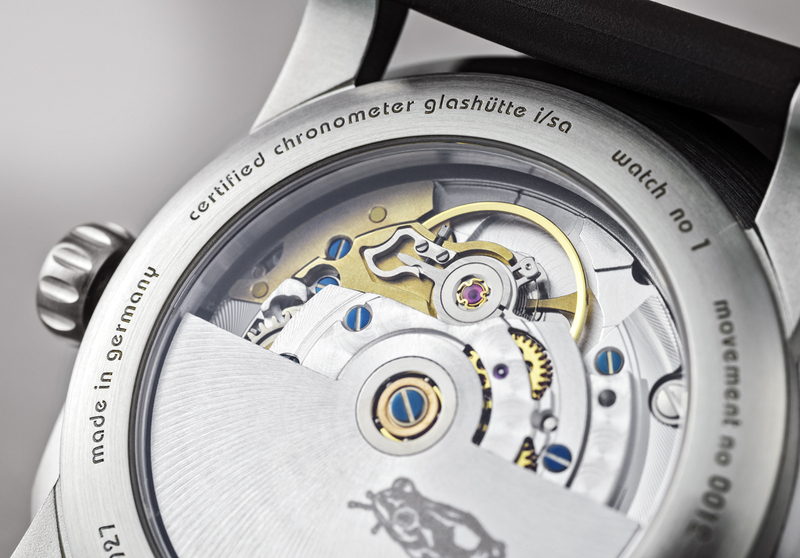 A passed chronometer test confirms the high quality of the built-in movement. 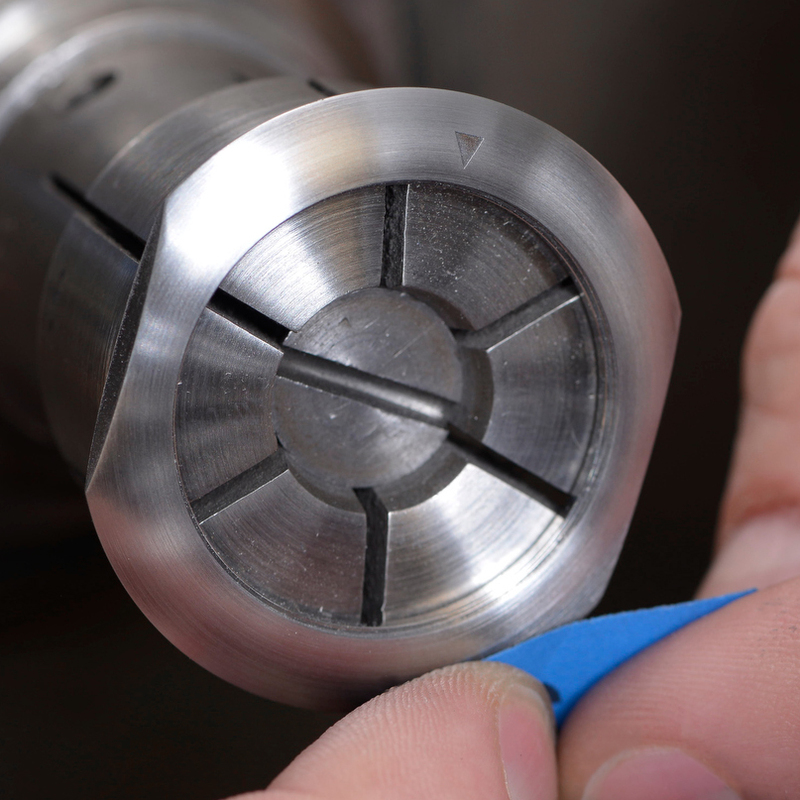 The strict criteria of DIN 8319 require a fifteen-day control. This claim was created by Hartmut Esslinger and describes his way to design new products. The Rana is the most elaborate model in our collection. We use, for example, the metal sintering for the middle part of the casing. No other method would have allowed us to implement the architecture of the casing so uncompromisingly. After that, we sand and matt it entirely by hand. The patented woodpecker neck regulation of the factory Mühle helps us to do a chronometer test on every watch in Glashütte. The sandwich dial, with the innovative Dynadots luminous dots, is made using advanced laser technology. The Rana shows what skilled craftsmen and modern technology can do. The high complexity in production allows us to make only very few watches per year. June 2017. 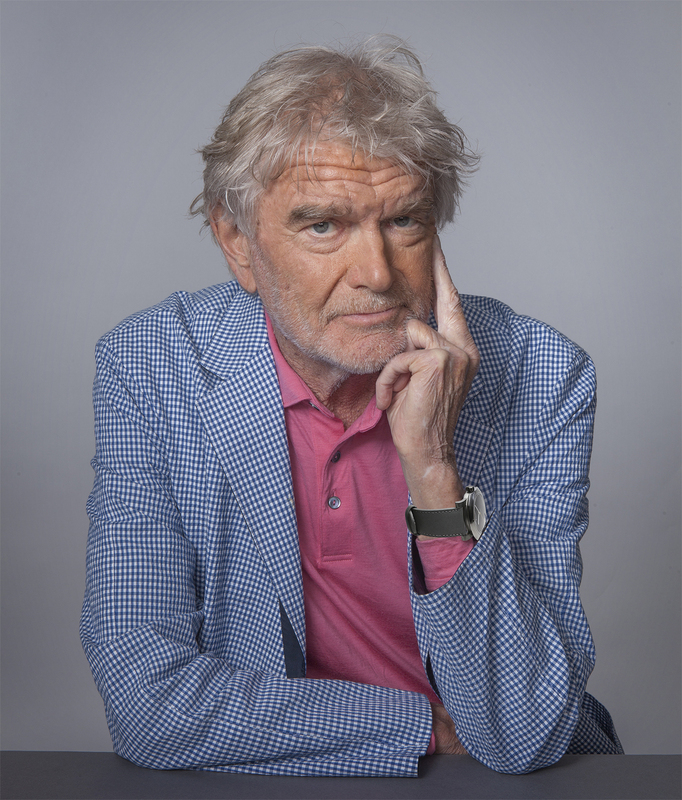 The World Design Organization has named Hartmut Esslinger, founder of frogdesign, as the recipient of the WDO World Design Medal for his exceptional and significant contribution to the profession of industrial design. The lasered and painted deck dials are printed at the end of the process and then combined with the basic dials from sterling silver 925/000. The luminous dots are inserted by the elaborately milled recesses of the silver dial. 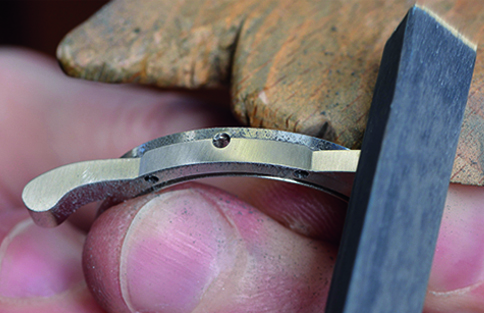 STOWA’s goldsmiths care about the high-quality surfaces of the Rana casing with their technical skills. The requirement: perfect cuts and matting. 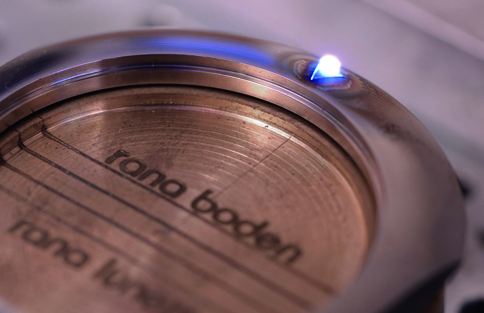 Several parts of Rana are high-quality laser engraved at STOWA. 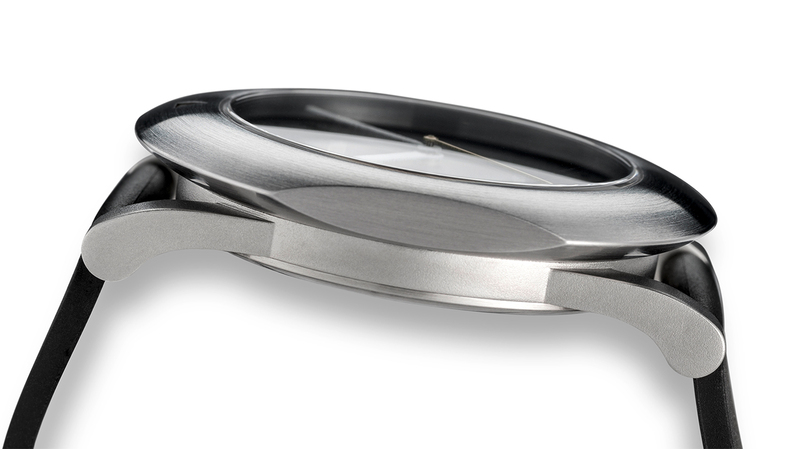 The bottom, for example, receives his individual, consecutive numbering, the bezel its characteristic triangle. Our Rana watch is only produced on request. If you are interested please contact us by email. We will inform you about delivery time and price. 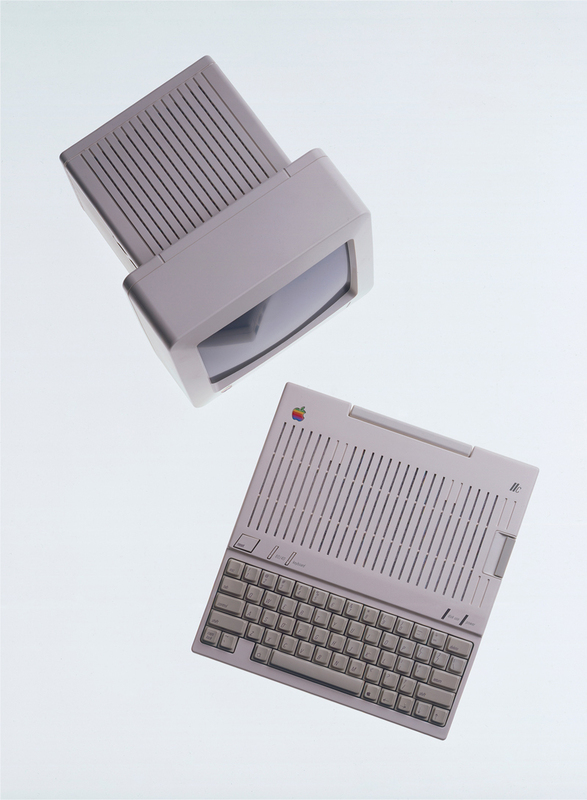 The legendary Apple IIc from 1984 in the new Snow White design language, developed by Hartmut Esslinger and Steve Jobs. 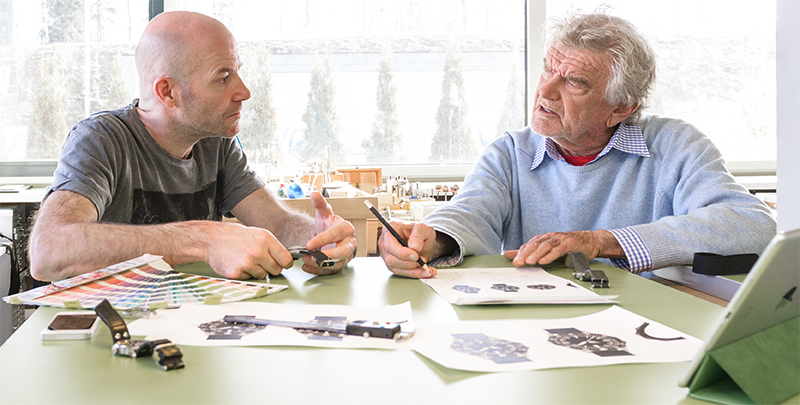 The story of frog began in 1969 when Hartmut Esslinger, then a student, founded his own company esslinger design in the Black Forest/Germany. Hartmut Esslinger already had a great vision at that time: he wanted to turn the world of design completely upside down.